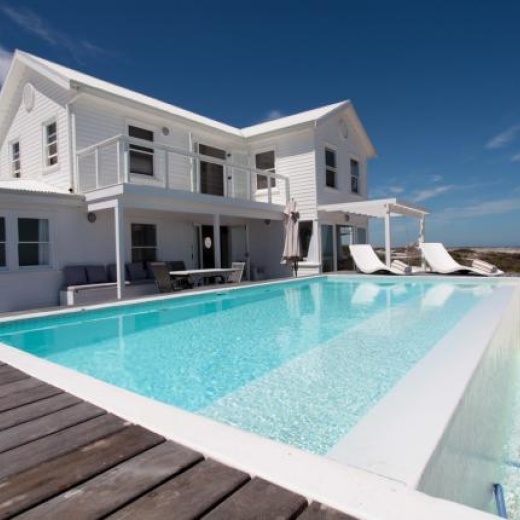 Pearl Bay is the ultimate “shabby chic’ beach house right on the beach in Yzerfontein. Fresh white seaside-inspired interiors make for a comfortable and homey feel, while the American-style clapboard exterior offers up a diverse shoot location. 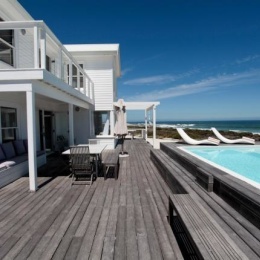 Pearl Bay’s key selling point is not only its proximity to the sea, but its gorgeous deck and rimflow pool. This location was definitely built to be shot! Any photographers dream come true.